When most people think about taking a supplement, they think about over-the-counter vitamins and supplements offered in most pharmacies and supermarkets. For example, they may think about the typical multivitamin that many people take every day. However, there is a far wider world of supplements out there, and many custom compounding pharmacies offer high-quality supplements that provide more potent and far-reaching benefits than the typical vitamins offered in stores. 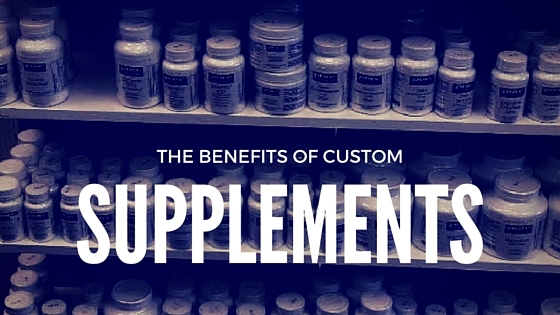 What are some of the benefits offered by high-quality supplements? Only the needed vitamins and minerals are ingested. Vitamins and minerals are one area where it is entirely possible to have way too much of a good thing. Many vitamins and minerals can be toxic if they reach high levels in the body. Unfortunately, people can’t go to the store and pick up a bottle of multivitamins that have the vitamins their bodies are lacking, without also having the vitamins they already have plenty of. This is what makes high-quality supplements so superior. People can work with their doctors and a compounding pharmacist to create the perfect vitamin and and supplement plan for their individual needs. Are you sure you are just taking a vitamin? Some lower-quality vitamins and supplements are full of fillers, dyes, and other ingredients. Be sure to read the label carefully. If you are going to invest in your health by taking a vitamin or supplement, then be sure to invest in high-quality products. Patients are made more aware of the interactions of vitamins with each other and with their medications. Far too many people take supplements blindly, without researching the side effects that can occur if they are mixed together or mixed with prescription medications. When people take the time to work with their doctor and a compounding pharmacist to find the right fit for individualized supplements, they will be well informed about the possible side effects and interactions. Therefore, taking the time to learn about supplements and discuss them with a knowledgeable healthcare professional is not only more beneficial, but can help to protect yourself from unwanted side effects caused by mixing supplements and medications in harmful ways. A good compounding pharmacy will offer a variety of high-quality supplement brands. Some of these brands include Pure Encapsulations, Thorne, Metagenics, and Integrative Therapeutics, among others. One compounding pharmacy committed to taking the time to work with each customer to make sure that everyone gets the right supplements is Nora Apothecary. We are located in Indianapolis, Indiana, and is proud to serve customers all over Indiana with their vitamin and supplement.